Along with EML Emails to CSV, the software converts EML files in more than seven file formats. In case you want to generate a new collection, go with first option. Put in the certain details such as Collection Path, Title, Description field & then click on the button of Add. This will save the collection details. Both EML and CSV are commonly used files. In comparison to EML File format, CSV is simpler and supported widely by scientific applications, business & consumers. It is commonly used in moving the data in tabular form between the programs, which locally operate on incompatible formats. This is helpful as different programs support some or the other variation of CSV at least as a substitute import format. Sometimes users accessing data in EML format wish to move the files to a spreadsheet. In such situations, the user can convert EML to CSV as the file can be imported into spreadsheet program. How the duplicate or identical email messages can be removed using this software? Does EML Emails to CSV Converter is capable enough to maintain the integrity of the data? If there, are any of pre-requisites for the installation of software on Windows operating system? Can the tool export multiple EML Files into CSV format at once? There are numerous tools for the accomplishment of conversion task in the online market. However, it is very important to pick a trustworthy program, as the security of the data is one of main concern of any user. Considering this, an innovative tool is designed as EML to CSV Extractor. 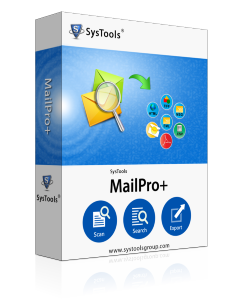 This tool can export email addresses from EML files to CSV in a trouble free manner. It comes up with so many attractive features making the process of migration very easy and quick. With this, users can even save email header of EML format in CSV format. It is compatible with all the Windows Operating system and retains the integrity of the data throughout the entire process of migration. Does the software, EML to CSV Exporter can exclude the duplicate files? Yes, by using the software you can exclude all the duplicate EML files and can have only the relevant files into CSV format. Can I export all the EML files into CSV in batch mode at once? Yes, EML to CSV Converter can migrate multiple EML files to CSV in bulk. Is the utility can save EML file as CSV files that are corrupted or damaged? No, with the help of this tool, you cannot save corrupted EML files into CSV format. Does the software is supported by Windows 8 32-bit? Yes, EML to CSV Exporter is compatible with every version of Windows Operating Systems. Like any other user, I was also concerned about the security of my data and that was the only reason I was it takes me a month to convert EML files to CSV format. However, when I came across EML to CSV Exporter, I became confident to proceed further and perform the migration process. I used the utility and export only selective emails of EML to CSV along with the attachments. EML to CSV Converter is one of the best tool I have ever seen and use throughout my entire career. It has a very simple interface making easy for users to access the tool. It comes up with naming convention option, advance search filter, etc. This is really a remarkable utility. I would like to pay my regards to the team of developer and recommended this tool to every user.